Come celebrate National Friends of Libraries week with the Friends of A.K. 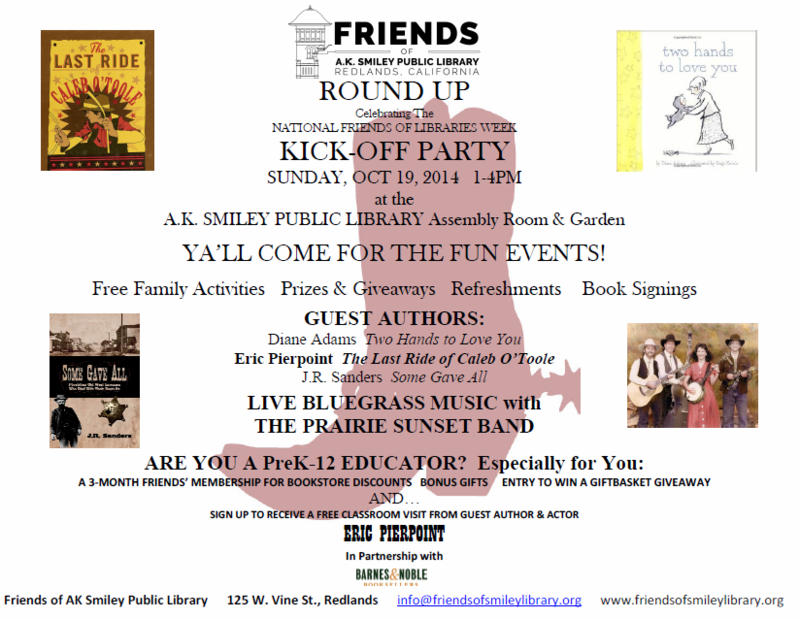 Smiley Public Library’s Friends Roundup! Plus, there will be live bluegrass featuring the Prairie Sunset Band!